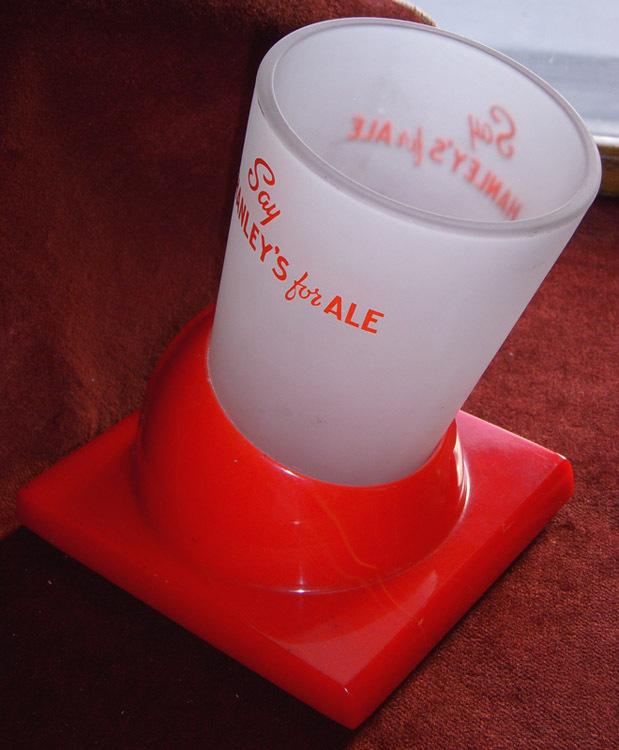 ARTIFACT: This is a wonderful circa 1935 glass foam scraper on a large red Catalin plastic base advertising Hanley�s Ale of Providence, Rhode Island. 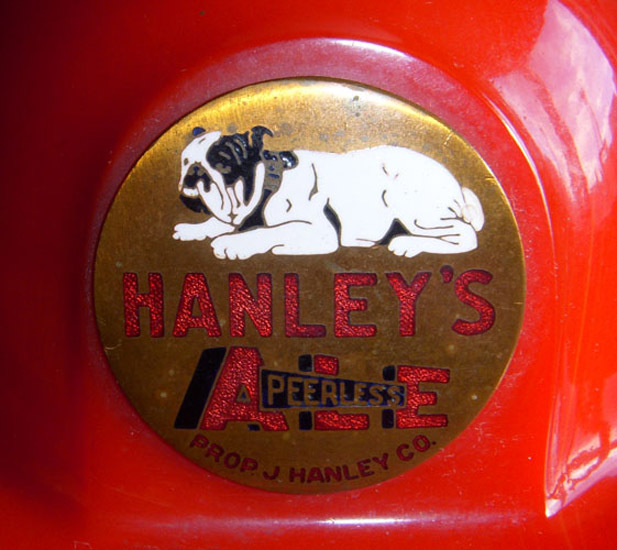 The gorgeous enameled brass disc with the bulldog mascot is what would have been used to top a Catalin tap knob of this same period. 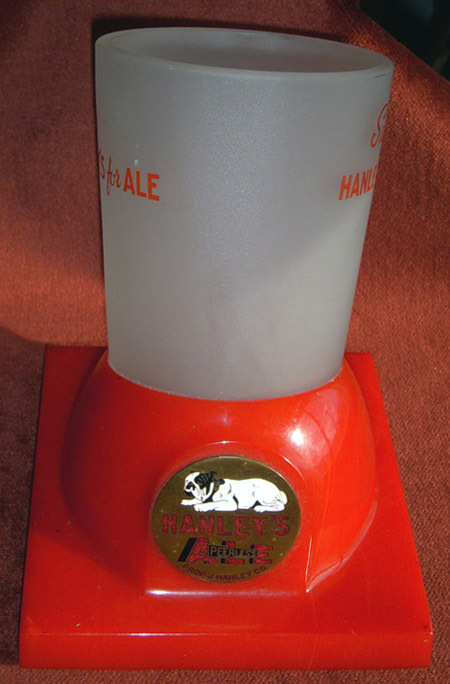 The frosted glass reads �Say Hanley�s for Ale� on either side. 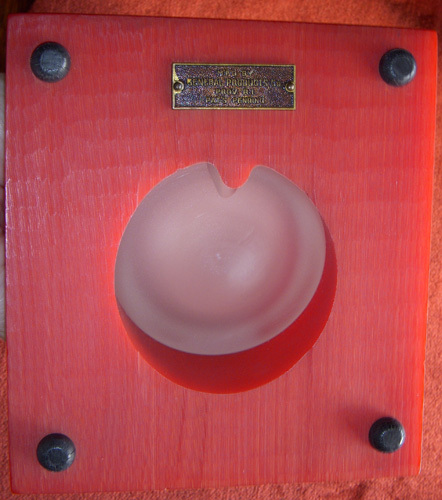 The piece is largely decorative as the passage of time has caused slight shrinkage of the base, causing the glass to be fixed inside it. 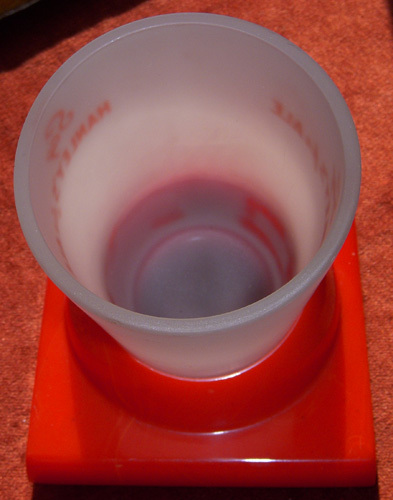 It is left up to the buyer whether or not to attempt freeing the glass through soaking it in warm water. 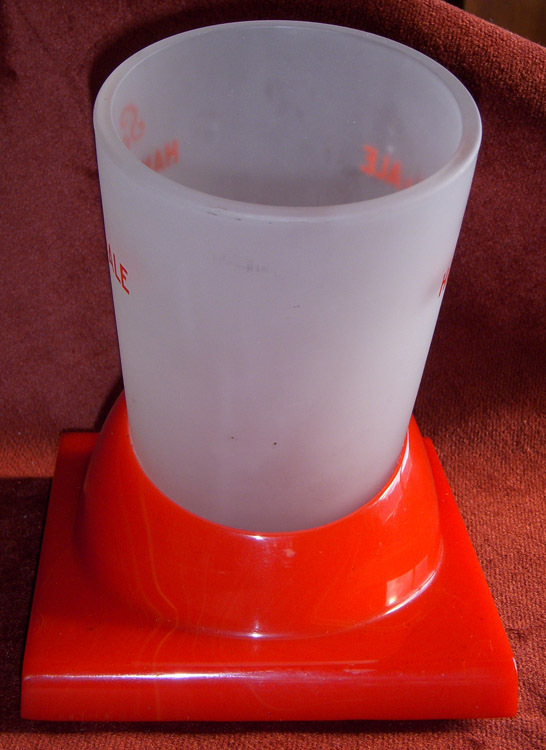 SIZE: Approximately 6-3/4� in height; base is 4-3/4� by 5-1/4�. CONSTRUCTION/MATERIALS: Catalin plastic, glass, enameled brass. MARKINGS: �M�f�d by General Products Co. Prov. R.I. Pat�s Pending� brass tag on bottom. CONDITION: 7+ (Very Fine+): The piece overall shows very little wear. The passage of time has caused slight shrinkage of the Catalin base, causing the glass to be fixed inside it. Warm water would most likely free the glass. As this piece is largely decorative at this point, I am leaving it up to the buyer to choose whether or not to do this task. GUARANTEE: As with all my items, this piece is guaranteed original.